Unfortunately the wind kept the waters rough for Charles and his crew but we managed to hang in there, found good schools, and brought back our limit of nice rock. Thanks guys for hanging in there…a great catch! Appreciate your business! We were glad to have Gary, Jimmy, and crew join us for a great fall fishing day. 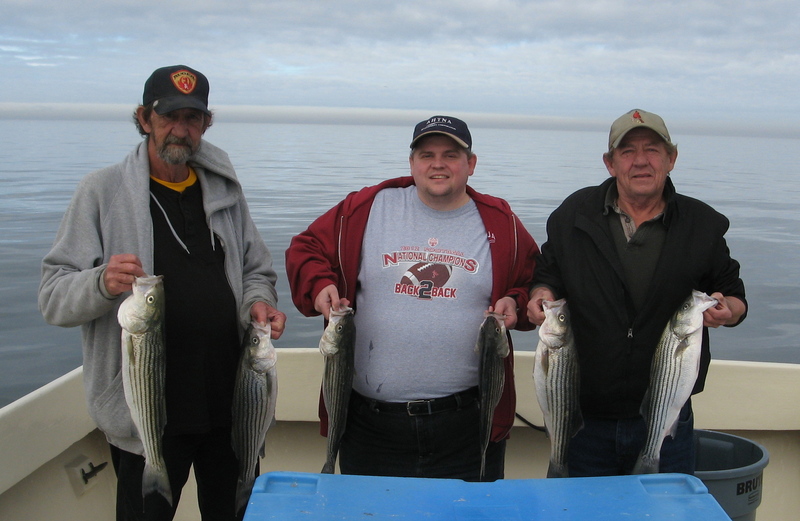 Everyone had a good time as we caught our limit of stripers before heading back to Sloop Creek Lodge. Another good day with good folks. 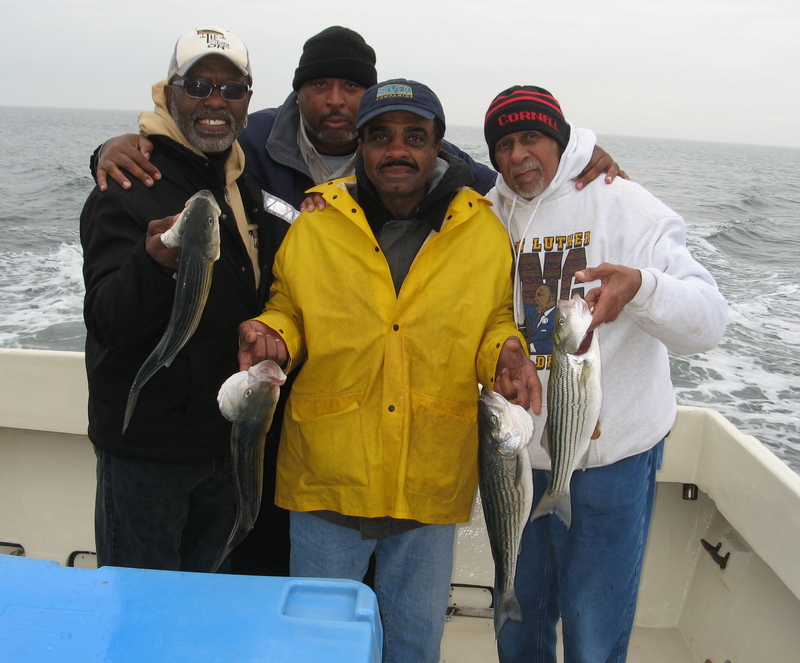 Charlie and his gang traveled far to fish a great day on the Bay. We had a great day and a great catch. Thanks Charlie…we hope to see you again next year. Appreciate your business! We enjoyed having Michael and his crew back fishing with us! We had a good day with a good catch. Appreciate your business Michael. Look forward to your next trip with us! Fall fishing continued to be good for Landon’s trip with us. Glad to have you all join us and look forward to fishing with you again! Appreciate your business! It was great to have Larry fish with us again, bringing along family and good friends for a great fall fishing day! The weather cooperated and so did the fish. A great catch of fish plus some of our FAT ‘N HAPPY oysters made for a good time, for us and for them! Appreciate your business Larry and look forward to having you all back again next year!